When intuition is in full bloom, life takes on a magical, effortless quality; your world is suddenly full of synchronicities, creative insights, and abundant knowledge. Through an easy-to-understand ten-step course, The Intuitive Way shows you how to enter that state of perceptual aliveness and integrate it into daily life to achieve greater natural flow. Author Penney Peirce synthesizes teachings from psychology, eastern and western philosophy, religion, metaphysics, and business. 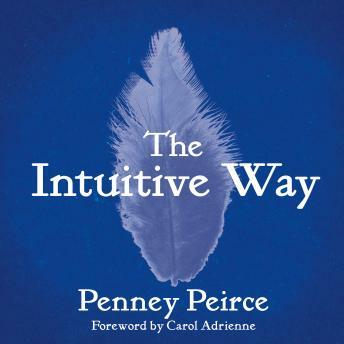 In simple and direct language, Peirce describes the intuitive process as a new way of life and demonstrates practical applications, from speeding up decision-making to expanding personal growth. Whether you're just beginning to search for a richer, fuller life experience or are looking for more subtle, sophisticated insights about your spiritual path, The Intuitive Way will be your companion as you progress through the stages of intuition development toward grasping your soul's purpose.